For use with 4-, 6-, 8-, 12- and 18-inch pipelines, Atlas road ramps provide a temporary crossing for low-traffic industrial, mining, commercial and residential areas where vehicular access over a pipeline is required. Low profile for easy crossing. Capable of passing solids and fitted with 150 lb. flanged inlet and outlet connections. 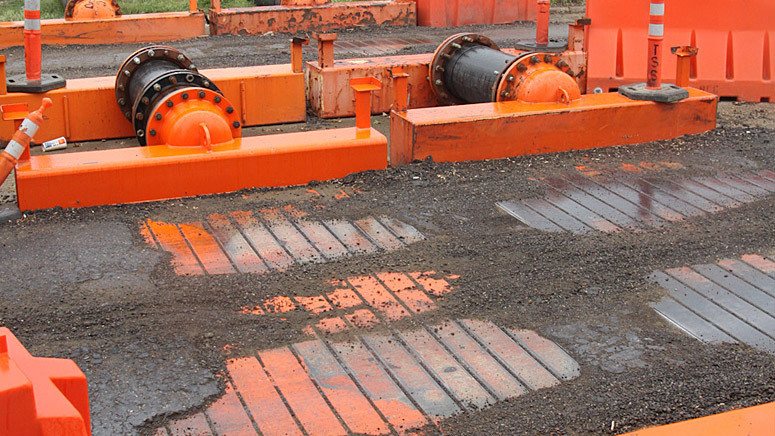 Drain valve provides capability to drain ramp after use. Stackable construction enables easy storage.